We are proud to support our partners in the Colorado Springs School District 20 with their annual golf tournament fundraiser. In this photo marketing representatives Dave Kraszewski and Jeff Christensen hand out tasty snacks and cold drinks to golfers on hole 11. 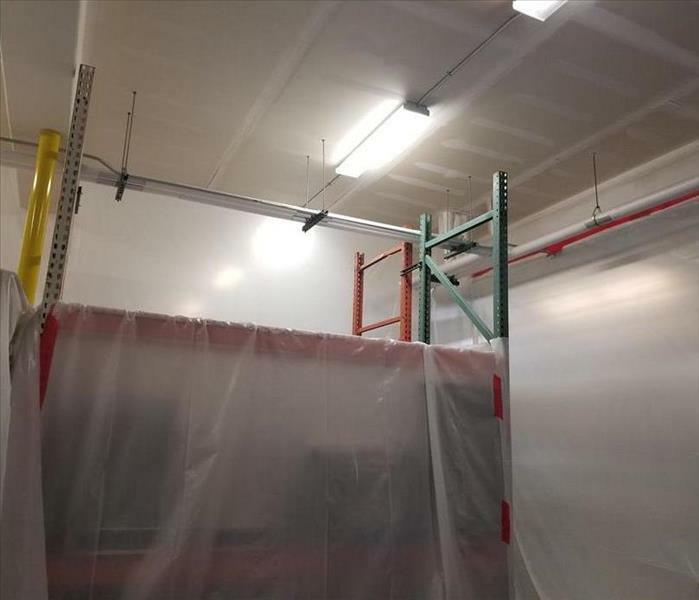 At SERVPRO of Northern Colorado Springs / Tri-Lakes we proudly support the Good News Jail & Prison Ministry. The Ministry helps bear the cost of sending chaplains to jails and prisons in Colorado to assist with the spiritual needs of the imprisoned. 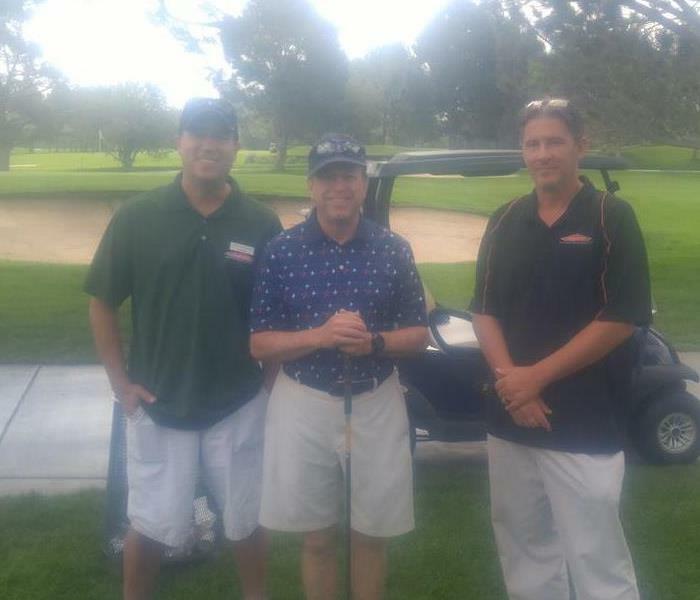 At the event we were lucky enough to meet with Colorado Springs Mayor John Suthers when he stopped by our SERVPRO booth on hole #10. The tournament was held 7/30/18 at Colorado Springs Country Club. 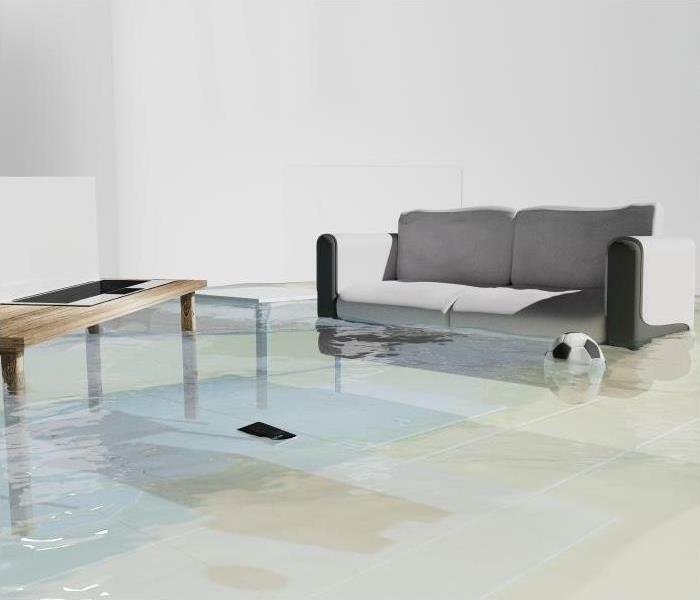 We sponsored and attended the recent 'Home for Heroes' fundraiser event, and it was a blast! The event was to raise money for our local police officers and their K-9 dogs. It was a fun-filled day consisting of a 5k race, entertainment, and lots of furry friends. 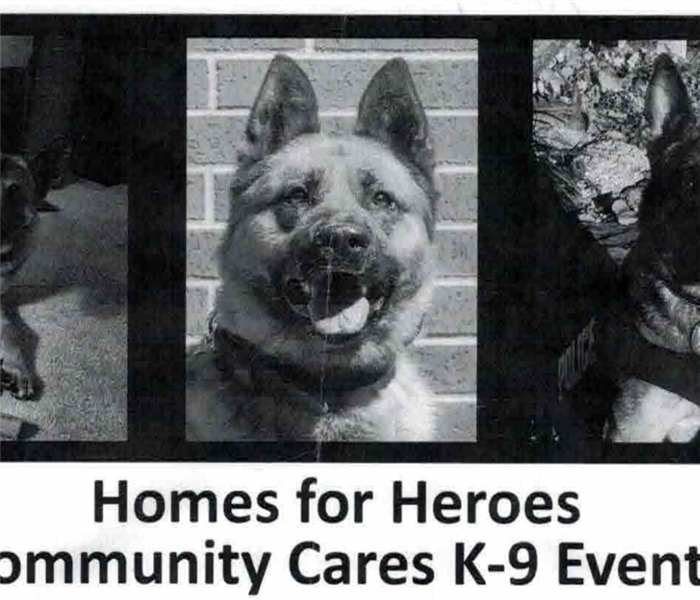 With everyone's donations, the fundraiser was able to raise $18,000 for the K-9 dogs. SERVPRO of Northern Colorado Springs / Tri-Lakes is proud to support and give back to our community! 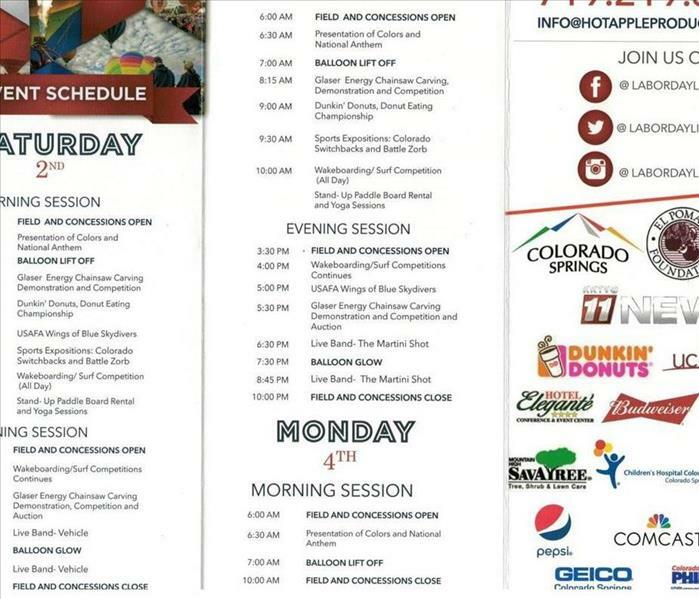 Don't miss this year's Labor Day Liftoff featuring over 70 hot air balloons on display in Memorial Park in Colorado Springs. For the event schedule click on the photo above.